Foggy Windows? You Need Window Medics to save up to 70%! 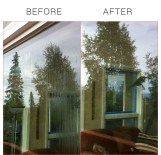 If you have foggy windows it is simply an indication that they have come to the end of their designed lifespan. Many homeowners think that when this happens they have to rip out the window and have a new one installed. However, this is no longer the case. Fortunately, foggy window repair is now a reality, thanks to Window Medics who invented the product 10 years ago. The TRUTH About Window Failure No window is ever hermetically sealed. Many people are surprised to learn that double or triple glazed windows have a limited life. In order to understand why this is the case, it is necessary to learn why the windows are designed the way they are. When the sun shines on a window it heats up and the air between the panes of glass expands. If the window was hermetically sealed this would actually cause it to explode. However, it does not. This is because as the air heats and expands some of it is forced out through minute gaps. In the evening, as the window cools, the reverse takes place and air from outside is drawn back into the gap. This effect is called solar pumping. The air contains minute amounts of moisture, and this moisture is absorbed by a silica desiccant which is in the spacer bar of the window. 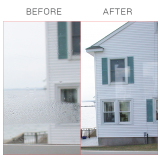 Over the years, the silica desiccant becomes saturated, and when this occurs, the moisture has nowhere to go and starts to fog up your window. Eventually, all double and triple glazed windows will fail in this manner. How long the window lasts before this takes place depends simply on the quality of the silica desiccant originally used. Now, thanks to a revolutionary new process, Window Medics can actually repair the window for you and give it a new lease of life of up to 20 years – longer than it was originally designed to last. In fact, the average age of foggy windows repaired by Window Medics in Montreal is just 12 years. 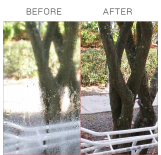 When fogging occurs, you need to call in Window Medics as quickly as you can. This is because the build-up of moisture in between the panes of glass will only get worse, affecting the insulation properties of the window and will eventually damage the glass beyond repair. At this point you will need to replace the glass at the very least, and possibly install a new window. As with most things, prevention is better than cure. 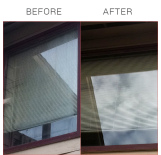 Call us now on 514-600-6568, use the Contact link above, or email us at info@windowmedics.com and let our foggy window repair team restore your windows to their former glory.